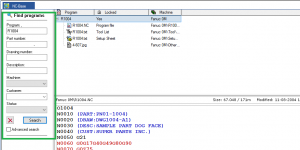 Authorised person only access the programs & associated files from data base. We can set the user permission also in data base. We can set 13 Customised filed in data base & program searching also very easy. We have lock & unlock option available in database. It will protect the machines from Partially completed program or wrong program. 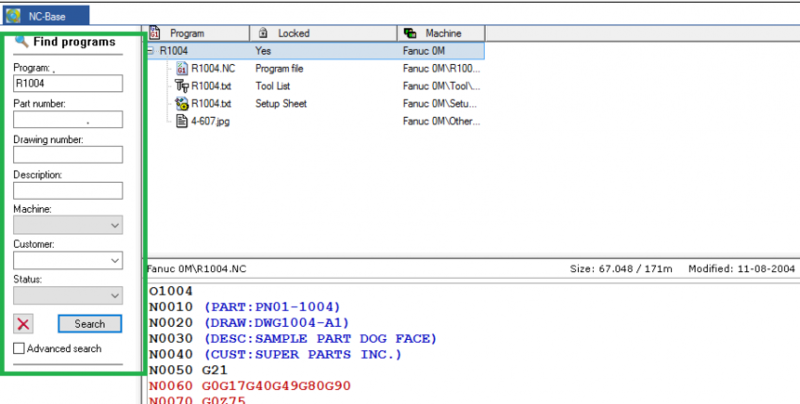 Revision control will help to analyse the version controlled programs so, it will reduce the machining time for prove out the component. Automatic backup used for take the backup periodically from server end. Incase application or System collapse means we can easily restored the data base. CIMCO NC Base will easily integrate with DNC, MDC- Machine Monitoring System and MDM. Achieving product and quality goals today requires that the correct information and data get to the right individuals and equipment as efficiently as possible. 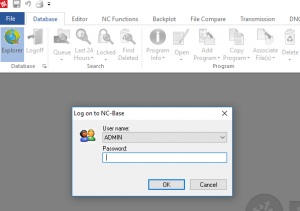 NC-Base is the CNC program management tool that allows you to organize and manage your CNC programs and related production documents most effectively through the use of a reliable and fast SQL relational database.